The whole discussion veered towards the notion of doing theology, highlighting that the church and the faith community are pretty much an essential component, just like the scholars who study into the original texts and other difficult texts written by authors throughout the years. A theologian who just sits on his desk thinking about theology is pretty much detached from the grassroot experience and there is every chance that they are just writing and thinking about their own things, without regard that their theology does not fit the experience of the grassroot. My reflection on this is this, that as theologians, it is our responsibility to be able to make sense of the experiences that the normal day Christians experience, whether it is the descriptive or prescriptive. It is not so much as experience must determine where your theology heads towards. It is more on your theology must be able to account for the experience. Whether the experience is meant to be normative or normal, it must take them into account. As Simon Chan said, it is only when theologians are able to find the words to articulate the experience of the laity that true theology has occurred. This is an enormous task for both the laity and the theologians. For the latter, this means that they need to realise that theology is not only thought out but must also be applied on real practices so that their theology can be tested out. To me, theology has no such separation as theory and practice. All theologies must have logical implications on our Christian living. It may sound abstract but the implications must be drawn out by the theologians. For the laity, on the other hand, this means that they need to be able to accept that their experience may not be the prescriptive experience that the Scripture describes and be willing to make adjustment along the way to align their lives according to the Scripture. 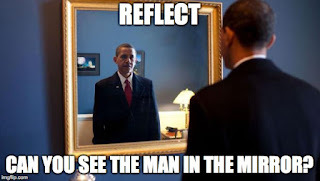 There are more to be reflected. I shall write again on my thoughts.